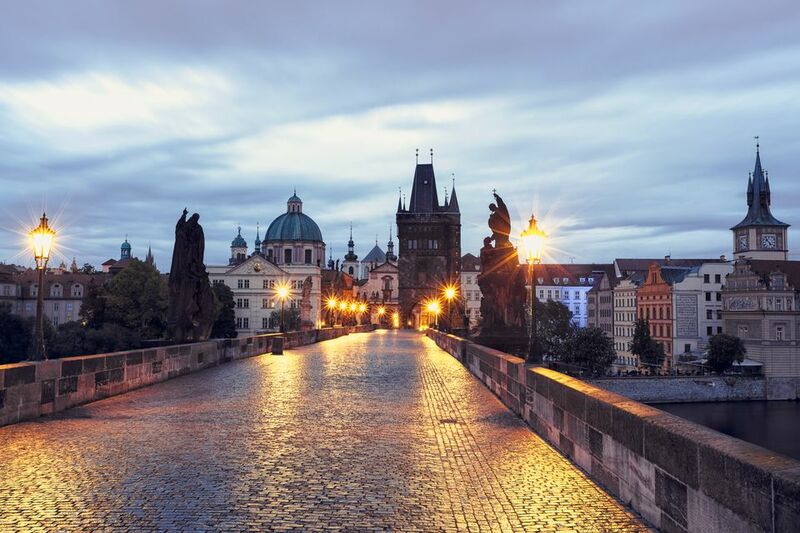 A trip to the Czech Republic and Slovakia holds many exciting attractions -- Prague and its Charles Bridge, renowned spires, historic cafes and pubs with famous Czech beer the first among many. One of the greatest pleasures of traveling anywhere in Europe is sampling foods that are unique to a city or region. Street food is especially reflective of the culinary culture -- think hot dog vendors on the streets of New York. It's the same in the Czech Republic or Slovakia, where you will almost certainly come across street stalls selling a cylindrical pastry called a trdelnik. They are everywhere in tourist areas year-round but only available seasonally in areas less frequented by visitors. Trdelnik stalls are de rigueur at Christmas markets and a welcome warm treat in the winter. The aroma will draw you in, and you'll probably get hooked on these delicious street pastries that are a trademark of the Czech Republic and Slovakia, though you might see them throughout Eastern Europe. Trdelnik pastries are especially found on the streets of cities like Prague and other popular Czech destinations, as well as in Bratislava and other Slovakian cities. These are served piping hot with a generous dusting of cinnamon, sugar, and nuts. Sweet and a little flaky, they're an inexpensive snack that will warm your fingers and satisfy your sweet tooth. Sometimes they are served with the traditional sugar-and-nut topping, while other stalls might make these treats with a whole variety of different additions for many riffs on the original. The trdelnik pastry is made by wrapping dough around a stick (wooden or metal) and roasting it over an open flame until it is golden brown and fully cooked. Since the vendors often sell from open stalls along the street or in squares and make these pastries fresh to meet the demand of passersby, you can often watch them make your trdelnik as you bask in the aroma of caramelized sugar and await your sweet treat. If there's a cafe nearby, grab a coffee or some mulled wine to go with your trdelnik, find a place to sit outside and enjoy this Czech specialty. Just where the tredlnik originated is clouded with myth and legend. Some say a Hungarian general brought the idea to Moravia, in the Czech Republic, via Slovakia, in the 18th century. Others think it was born in the Transylvania section of Romania and spread through Eastern Europe and the Balkan region. But now it's owned by the Czechs and definitely not to be missed on any trip to Prague. Trdelniks might be the most famous street food in Prague, but it is not the only one. Don't miss stands that sell mulled wine; sausages; fried cheese sandwiches; palacinky, which are French-style pancakes; langose, which is similar to pizza; and ham stands, mostly found in Old Town Square in Prague.